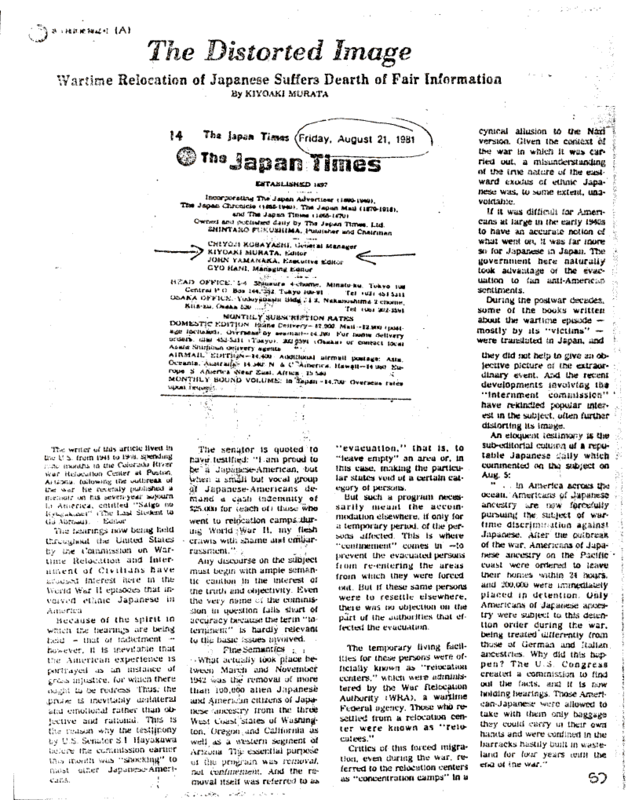 Document Notes: Article written by the editor of the Japan Times, an English newspaper in Japan. The author Kiyoaki Murata was a Japanese citizen studying in the U.S. at the time of Pearl Harbor. He participated in the evacuation and spent almost a year in a Relocation Center before continuing his university studies in the Midwest. He is the author of "An Enemy Among Friends," a book of his wartime experiences.